When choosing between two such amazing services like Kettlebell Kitchen and Eatology Paleo Zone, you need to take a good look at all the little details that may make one superior to the other. The goal of this Kettlebell Kitchen VS Eatology Paleo Zone comparison is to provide an objective assessment of the quality of both services based on the degree to which they satisfy all the major criteria for meal delivery comparison. View the scores they received on every criterion, take a look at their most prominent features side by side, and discover which one of them has done more to ensure your complete satisfaction. 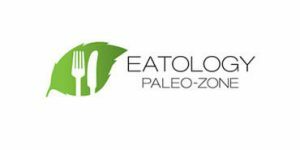 Eatology Paleo Zone is a great solution for everyone who wants to enjoy the benefits of the Paleo diet without all the hassle. Apart from the Paleo rules, it employs the insights of the Zone theory and brings you healthy and tasty meals with the perfect ratio of all the valuable nutrients. Read on to discover all the perks of going with Eatology.